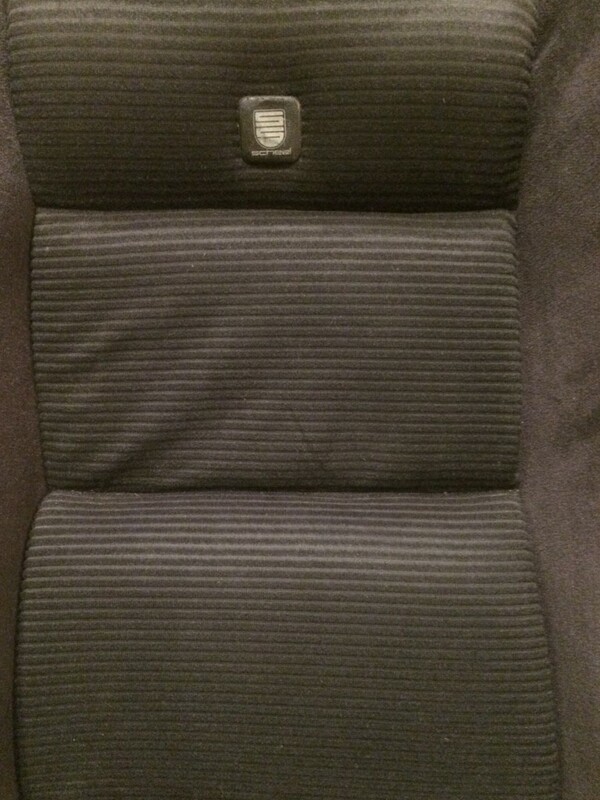 Help identifying seat..., brand and value. 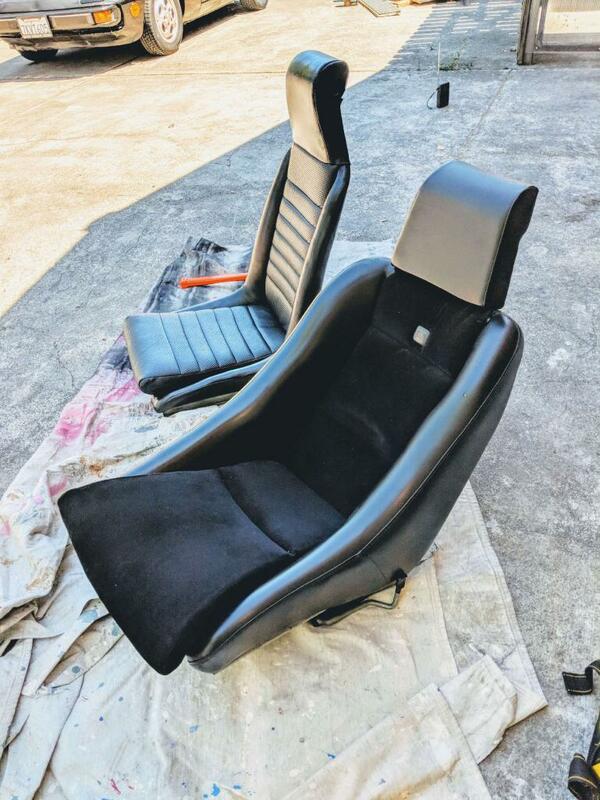 I have a seat that uses the stock 914 seat sliders, and fits into the back pad nicely. Considering selling it, but not sure how much to ask.. I only have the driver seat, and it is in great condition. My buddy used it for racing school in his 914 many years ago.... I would estimate 20 years ago. Let me know what you know, and fair resale value. That's a Scheel seat. They usually take a specific slider to really work right. They look like they will fit on a stock 914 slider but my experience which was the same as another member here is that the stock 914 slider will bind in the rails. If in good shape, I'd say $850-$950. I've not seen one with the salt-n-pepper looking upholstery. Unless your pic is upside down, the emblem on the seat is, BTW. Looks like a Scheel seat. The picture makes it look like a 911 or 356 version. Angle looks wrong. 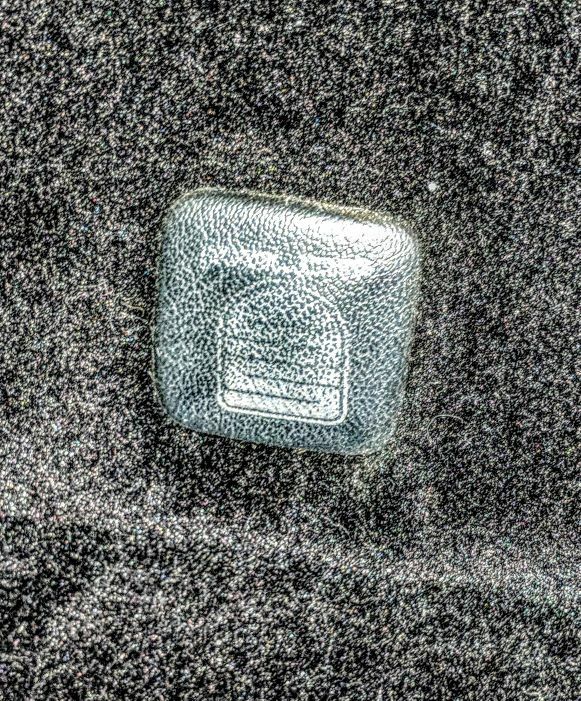 The badge is applied upside down.... and the center upholstery looks different than on your seats..... so maybe recovered?? If so, it is a good job, and very nice condition. I will post more detailed pics in the hopes of identifying more accurately. My boy sold (traded) a similar Recaro that upholstery was only about a 6/10 maybe low 7/10 for $500. He could have gotten more, sold locally to a friend/member, but not having to ship it was worth it. They are only good for small built guys, say 160lbs. if Perry passes I would be interested. Perry is interested..... PM sent. Im a bit concerned about shipping.... seems big/heavy.